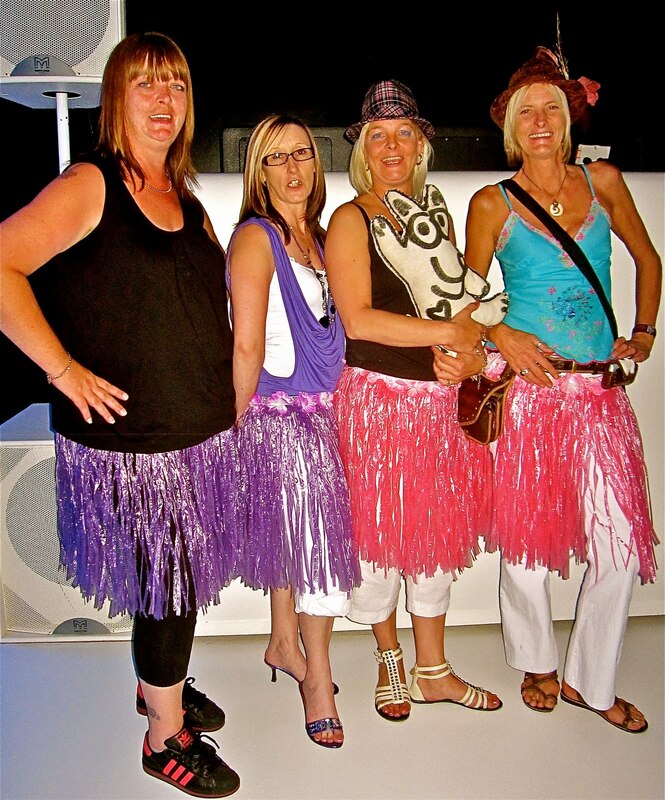 Amanda, Sharon, Dawn, and Jennie (from left to right) loved being in costume for Jack's concert at the O2. Their hula skirts fit right in. They had taken the "Tube" which is the London subway/underground to the event and no one had said anything to them. Imagine that! They were laughing and talking, and so happy in their Hawaiian attire.